The ocean calmed down a lot and Ronnie, Bill and I made it out for a great morning session on February 21st. Swells were knee to should high and had pretty good shape. I caught a few lefts and a right that were among my best for this year. Russell was on shore and took these stills. You will see Ronnie paddling out. Bill showed up later. Thanks Russell. 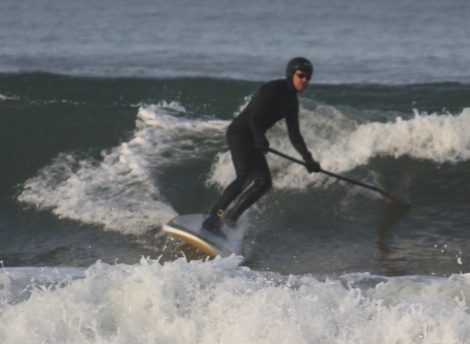 This entry was posted in Random Surfing and tagged Pismo Beach, SUPing. Bookmark the permalink.